DEVELOPMENT OF FURTHER FESTER MUDD GAMES HAS BEEN CANCELLED. We are deeply sorry for this, and wish to sincerely thank everyone who played and supported Fester Mudd on his short but unforgettable journey. Set in Wild West, FESTER MUDD: CURSE OF THE GOLD is a three-part comic saga of exploration, reunion, and redemption…and a love letter to the classic adventure games of the 90s! In Episode 1, Fester hits the trail to join his brother, Bud, in the downtrodden town of Loamsmouth. But when Bud is found to have mysteriously vanished, Fester realizes that the journey will be far longer and more treacherous than he bargained for... and he must enlist the aid of an experienced gunslinger to help him make his way through Indian territory to track down both his missing brother and the gold that awaits them both! But gunslingers don’t come cheap... and Fester must find a way to convince him to join him on the perilous quest. This Episode sees Fester exploring Loamsmouth and surrounding territories. 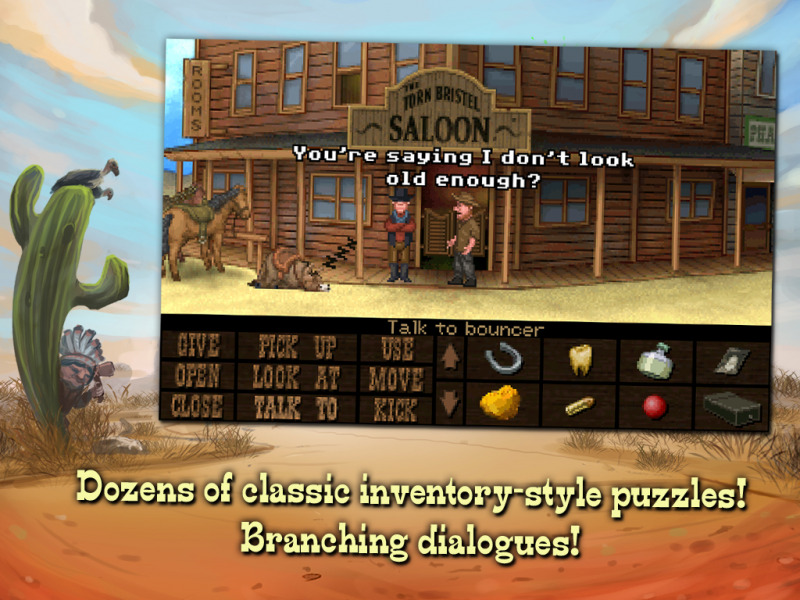 Along the way, he’ll meet and deal with an assortment of Old West roughnecks, flim-flammers, and other larger-than-life characters... and give adventure game fans a huge blast from the past! 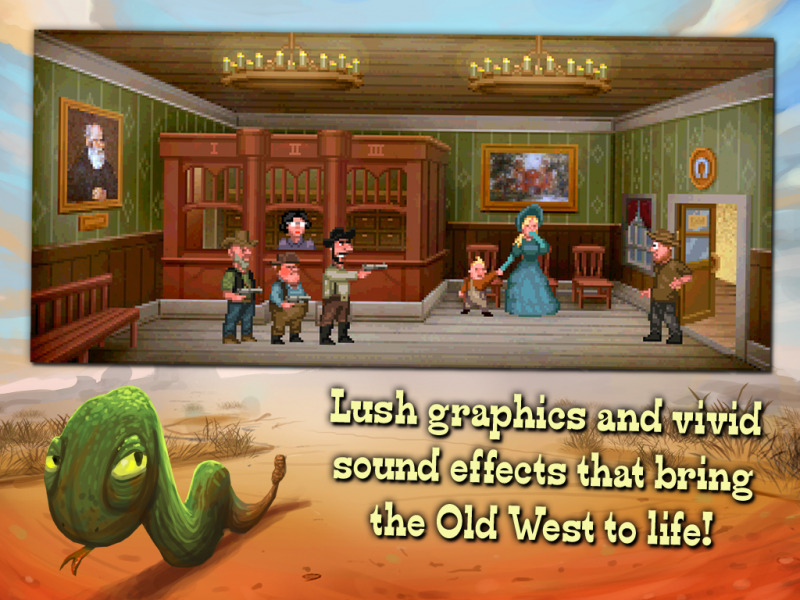 Lush graphics and vivid sound effects that bring the Old West to life! 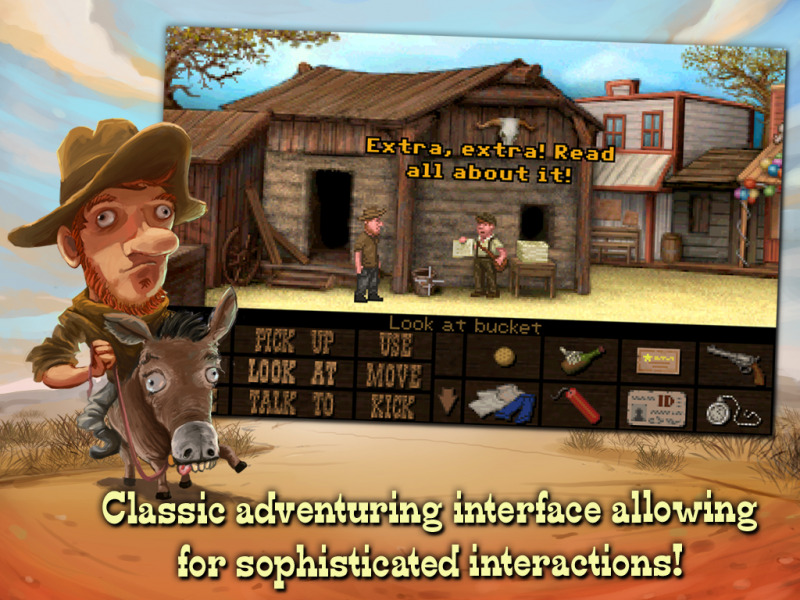 Classic adventuring interface allowing for sophisticated interactions! Dozens of classic inventory-style puzzles! Overhead map for quick travel between regions! 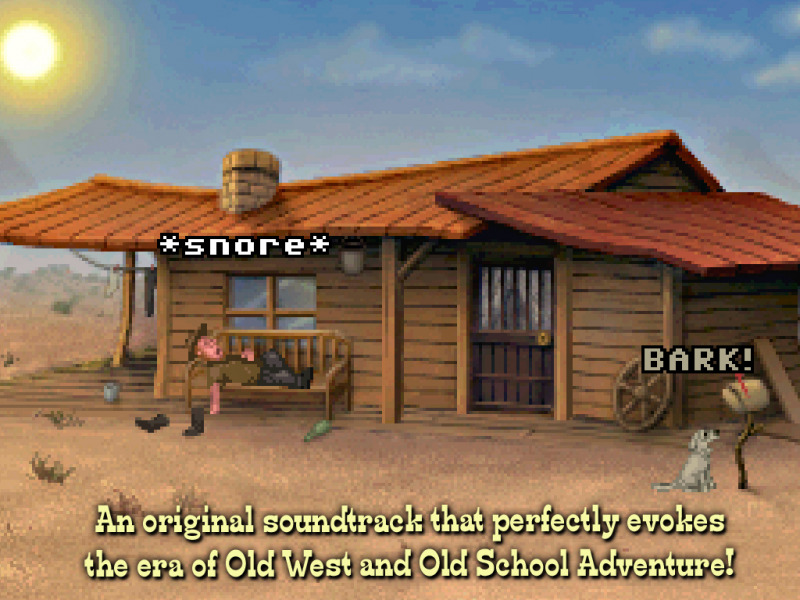 An original soundtrack that perfectly evokes the era of Old West and Old School Adventure Games! Cliffhanger ending that teases the next game in the series! 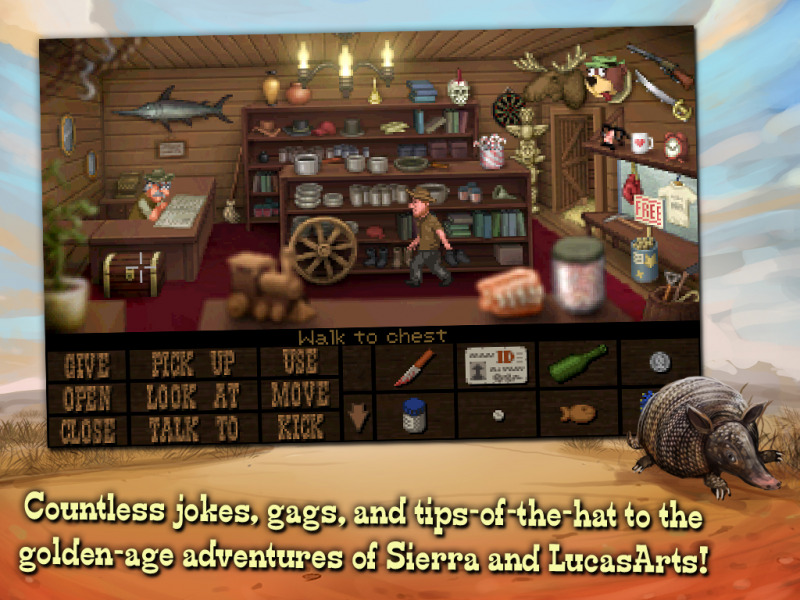 Countless jokes, gags, and tips-of-the-hat to the golden-age adventures of Sierra and LucasArts! "The retro aesthetic will please Monkey Island fans, but great writing and clever, logical puzzles mean that anyone can enjoy this game. Bring on episode 2." "Invoking classic adventure games of old, Fester Mudd is both a homage to those greats and its own master in demonstrating what's so memorable about the genre." "Erlebt ein spannendes Adventure mit viel Charme und Humor, das hoffentlich bald fortgesetzt wird."